Manage every aspect of your masjid and Increase giving conveniently using Kiosks & Mobile devices. MOHID is completely revolutionizing how Masajid operate. Its one of kind software to help manage every aspect of running your organization and saves you month of time when it comes to addressing many of the issues that burden our masjids’ administration today. MOHID is created and developed with the idea of providing an end to end solution through highly integrated data management system. With MOHID, you can automate and streamline donation, membership, class registration, event management and announcement, Zakat disbursement, and fundraisers. In today’s cashless society, why be tied to receiving public donations for your mosque by cash only? What if you could accept donations quickly and simply by debit or credit card? Now you can grow your giving and really start to make plans for your mosque and community. With MOHID+ and MyMohid giving smartphone App. We help your members give in the moment – anytime, anyplace, anywhere, using their card. Ever get frustrated that you can’t spend more time out in the community? Spending too long tied to your desk? No doubt the cause of much of that is accounting and admin. Now you can cut year-end accounts reporting down to just FIVE MINUTES. Our account module and full reporting suite includes transactions, balance sheets, profit and loss, and ledgers. You could save hundreds of hours in a year, so you can get out in the community. Communication has never been easier then with MOHID Management system. You can now create a fully intrgtahed network for all your Masjid’s and Islamic organisations to coordinate events push a centralized donation category or even a membership drive through MOHID Regional System. This means you’ll be able to aim for bigger goals in the community, improve community engagement and strengthen bonds beyond the local Masjid. You can do this because MOHID enables you to interconnect a variety of activities into one highly integrated system that’s simple to use, with encrypted security. Cash is handy but it’s not as trackable as electronic payment. With donors no longer needing to donate by cash, they’re much more likely to do so. You can also collect Zakat, Fitrah, membership fees and other itemised donations quickly and securely using MOHID’s touchscreen operation. Members simply select, swipe and submit. 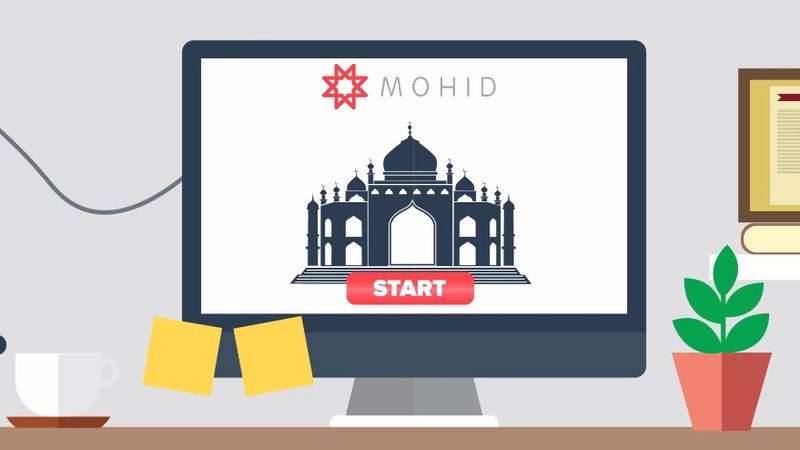 MOHID+ and MyMohid Smartphone app seamlessly integrates with the MOHID Masjid Management System for automatic book-keeping of donations and delivers an instant receipt by email. Using the MOHID web interface, you can even monitor donation progress and update categories remotely. Masjid accounts processing is as easy as 1,2,3 with the MOHID Management system. Its fast, secure and helps you track donations, membership payments, pledges, lesson and school fees, event tickets and pretty much any other tracnsaction you can think of. With MOHID, all the accounts and financial functions of Masjid are integrated into one place so that you get highly secure, full-blown accounts management with robust reporting. MOHID even integrates seamlessly with Intuit Quick Books Pro for automatic updates to your Quick Books accounts. MOHID serves 100s of Masajid and Islamic organization around the North America, helping them raise donations, engaged in the community and manage their daily affairs see some of the Masjids we currently work with. All the advantages of MOHID plus the benefits of our revolutionary Kiosks system which will help your Masjid collect 100% more donations. The MyMOHID smartphone App helps you reach out to you members anywhere anytime, facilitating communication giving.